Next week we’ll be opening up the speaker submissions for TBEX 2013 in Toronto. We get tons of speakers submissions and even more emails about wanting to be a speaker at one of our events. Unfortunately, far too many of these ideas and submissions are the wrong fit for our audience. Sometimes we have been able to take the germ of an idea, have further discussion, and turn it into a great submission. Other times we can’t. We want to introduce new speakers and new topics to our TBEX attendees. To help you with the submission process, to let you know what we expect of our speakers, and to give you information on what we’re looking for, we’ve prepared this list tips and information. Fair warning, it’s a lengthy list. That’s because we take our obligation to provide a quality program seriously. If you’re serious about being a speaker at TBEX, reading, understanding and following these guidelines will serve you well. Here’s the best advice I can give you on how to be selected as a speaker for TBEX Toronto. The call for speakers for TBEX Toronto is now open. Here’s the submission form to use, after you read the rest of this post! Make your topic narrow. All too often we see topics so broad that the information about it could fill several shelves at the library. Attendees universally complain about sessions with too broad of a focus. Instead, zero in on one or two aspects of the topic and see if that makes for a more manageable focus. Sessions are slotted for one hour, which should include about 10-15 minutes for questions and answers, and without a laser-like focus you won’t be able to send attendees home with useful information. Attendees don’t really care about you, what you’ve done, or how important the topic is to you. They care about what’s in it for them, about what they can take away and use on their own blog or in their own business. Make sure you provide them with a valuable answer to the question “what’s in it for me?” Just because it’s your pet topic doesn’t mean everyone else will care, so make sure you’ve thought about it from the attendee perspective. If your topic is all about your product, your website, or you, it’s probably not the right topic for a session. Our focus is strongly on education and we have a no selling from the platform policy. If you have a product to sell we’re excited for you, and we’ll gladly quote you a rate for a marketplace table. This applies to bloggers as well as industry representatives. Are you committed to TBEX or committed only to speaking? Do you believe in what we’re trying to do to provide learning and networking opportunities for travel bloggers or are you looking for a free trip to somewhere fun. We select topics and speakers who can held educate our attendees both in their sessions and through networking over the course of our entire event. Preference is given to speakers who are available and who plan to attend the full event, not just speak and leave. Co-presentations, with each speaker taking a portion of a topic, are generally better received than solo ones. While you may be a subject matter expert, ask yourself if including co-presenters might give the topic a more well rounded coverage. Presentations should not always be about presenters agreeing with one another, so don’t be afraid to get differing opinions and viewpoints in a session. It gives the attendees more to relate to and think about. Most sessions should be targeted toward an intermediate skill level, although a few beginner and advanced sessions will be included. Most of our attendees consider themselves at an intermediate skill level, but we also need to provide content to attract beginners to TBEX and to keep and challenge the advanced bloggers. In submitting your proposal, give us an honest appraisal of the skill level you are aiming at. 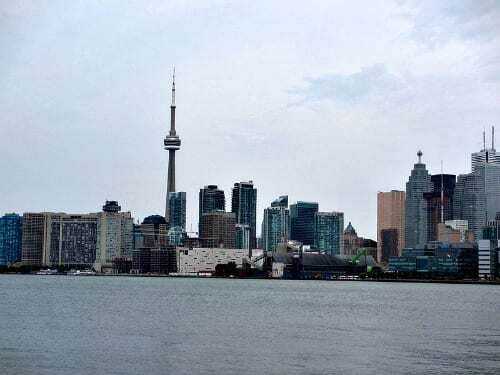 We are looking for some advanced sessions for Toronto – those geared to bloggers who’ve been at it for awhile, who are established and successful. These sessions should focus on advanced, in depth discussions that can provide a different way of looking at the status quo, that challenge long-held beliefs, and that create the rumblings of a philosophical discussion that can revolutionize travel blogging. You should be able to provide a brief description of what your session is about. If it takes too long to explain it, chances are that you need to go back and re-think the focus. Pay attention to writing about the takeaways an attendee will get from your session. This is the most important part of the conference for attendees, so spend some time thinking about what message and information you want to convey. If these aren’t specific, go back to the drawing board. Keep in mind that attendees will be evaluating your session on how you lived up to your promise of the takeaways – your session needs to deliver what you say it will. Yes, you need to fill out the speaker submission form. And yes, it’s a pain in the neck. While I’m always happy to discuss ideas, concepts, and session possibilities, the form contains practical and legal information needed to get your idea a full review and to eventually get you on the program. Talking with anyone else on the team about a session idea is still going to bring you right back to filling out the form, so please don’t try to bypass it. It’s okay to submit more than one idea or more than one take on a topic. If you can’t be at the event for the entire conference, we need to know in advance. Priority consideration is given to those who can attend for the full event. There are a variety of things that we look for in selecting speakers. It’s helps to be an expert on your topic, but that alone isn’t enough. You also need to be greatspeaker. We recognize that there are a number of different speaking styles just as there a number of different learning styles, and we don’t want carbon copies ofspeaker styles. Don’t try to be the same as everyone else when you’re on the podium. If you know that you’re a subject matter expert with little speaking experience, partner up with someone who has that speaking experience, even if they might not be as knowledgeable as you on the topic. Ask yourself what you’re willing to do to promote TBEX, the conference, and your session. Are you willing to publish a post about the event on your blog? Will you post a speaker badge in your side bar? Will you write a guest post (or two) for the TBEX blog? Or, do you prefer to keep your TBEX promotion contained to Twitter and/or Facebook? The mission of TBEX is to educate travel bloggers and the travel industry and that’s what our conferences are all about. If you are a thought leader who can help us grow our community by reaching and influencing new people we want to know about it. None of these items are a deal breaker – we know that inside blogging posts may not be appropriate for your readership – so just let us know right up front what you are and aren’t willing to do. Blogger speakers: At the submission stage we cannot guarantee that we will cover travel expenses for speakers, however we work with within a budget and with our sponsors to cover travel for our speakers. For Keystone and Girona we were able to cover most (but not all) speaker expenses through our sponsorships, and we hope that continues. We work within a budget and the reality is that the budget has an impact on the number of speakers we can accommodate. If you won’t need travel expenses, or perhaps need only partial coverage, be sure to let us know. When we confirm you as a speaker we can let you know about expense coverage. We do not pay a speaker fee. Industry speakers: I was surprised to learn that many conferences have a pay-to-play approached to speaking, and I can assure you that we have a clear policy of separation between editorial/educational and sponsorships. We want industry speakers that have real information to provide to an audience, both to bloggers and to other industry members, and industry speakers are sought after and encouraged. Remember, if you want to talk about your product or project it’s more appropriate for a sponsorship table than the podium. We do not cover expenses for industry speakers, nor pay a speaker fee. Speaking at TBEX is a great opportunity to continue to build your expertise and authority by appearing in front of influential bloggers. Do it well and you’ll more than recoup your expenses in new business deals. Be patient. We’ll set a deadline to respond to speakers and finalize the program. We’ll have every intention of keeping it. But fitting the program together is like a big jigsaw puzzle, keeping an eye on the right balance for each individual session as well as for the entire event. Every decision influences the big puzzle and while we go as quickly as possible, it all takes time. It’s not personal. Saying no to great ideas and great people is hard. It’s one of the hardest parts of the job as Conference Director. And unfortunately I have to say no to more people than I can say yes to. A no isn’t a reflection on you personally; it just meant that it wasn’t the right time for your idea to make the program. However, things can and often do change, so be professional and you never know when a no can turn into a maybe or a yes, often at the last minute. When last minute changes happen – and they do happen – we naturally turn to go-to people who are reliable, flexible, and easy to work with. Good speakers make it look easy because they work at it. They prepare well in advance, communicate with any co-presenters or fellow panelists, and arrive on site well rested and ready to take the podium. Don’t embarrass yourself or offend attendees by turning up to your session too hung over or tired to do your job. Speakers should prepare and submit branded slides for review. If you’re not a fan of accountability, or put things off till the last minute, make sure that you can commit to meeting review deadlines before accepting a speaking opportunity. We know you travel, and we’re flexible, but we do need you to respond to our emails and requests without us having to nag too much. Plan to be at the conference for the entire time and refrain from setting up appointments or attending other events that compete with the TBEX program. We rely on sponsors to cover your travel expenses and we ask that you not schedule or attend events or engage in projects that compete with their efforts. We are committed to keep the registration price for TBEX as low and affordable as possible, and to keep that commitment we need sponsors. When you engage in activities that directly compete with our sponsors you harm the entire TBEX community. Do not add additional speakers to your session without consulting with us. We need signed speaker agreements from everyone who appears on the podium. Don’t promote your business, book deal, new sponsorship, product, etc., from the podium. I always felt uncomfortable when I attended a conference and it seemed like I was paying to listen to people selling something, so this TBEX policy resonates well with me. Attendees spend time and money coming to a conference to learn something that is useful to them. They don’t want to hear your sales pitch in an educational session. It makes your audience uncomfortable and it makes you look bad. Really, don’t do this. You will be disinvited from future TBEX events. Yes, it has happened. Remain patient and flexible. It often takes up to the last minute before everything will fall into place. The day or time you speak may change. We may add a co-presenter. People get sick, have travel issues, and emergencies, and we may have to zig when we were planning to zag. We plan for the unexpected, try to be flexible, and hope for the best. We hope that you can do the same. Have fun! Speaking is a wonderful way to increase your influence, highlight your expertise, and to learn. TBEX experiences should be just as enjoyable for speakers as they are for everyone else. Read and re-read these tips and familiarize yourself with our requirements and expectations. Think about, refine, and think some more about your speaking idea. Here’s the official speaker submission announcement, instructions, and link to the online form. It includes some Toronto specific information, too. Get ready and excited for TBEX 13 in Toronto! As you say, was a lot of points in here ! But clear. It may be something you discuss when you release the speaker submission forms, but do you have set or agreed content threads for the Toronto event set? Or does that emerge as you look at submissions and themes that throws up? We will have general tracks that are consistently what attendees say that want to see more of (based on surveys): Content (creating great content of all kinds), Commerce (business-related topics), Community (social media and community building), and and Industry track (with a focus for DMOs and industry representatives). We will plan for a fifth track that will likely emerge as we see the type of submissions we receive. Most of this will be available as a check off on the submission form (it too is long) and we will provide additional specific guidelines when it is out. Hi Gary, Good questions. I also would like to know are you looking for specific topics that are new and relevant to the industry? We are looking for a variety of topics and speakers rather than a cookie cutter approach. Our focus is always on takeaways for our attendees. If it’s something they’ll find valuable, we want to hear about it. Planning to submit – thanks for the great guidelines! Is there a URL for last year’s program? Might be helpful in proposing sessions this year. And don’t let previous programs dictate what you submit. Put your thinking cap on and knock our socks off with a new proposal that sends our attendees home fired up and ready to go. Great tips! Thanks for posting 🙂 I’ve spoken at a number of academic conferences and I wish some of my fellow anthropologists would read these guidelines before preparing their next proposal! Well, we can post guidelines, but it’s up to people submitting to follow them. As long as speakers focus on the audience, rather than themselves, we should get a bunch of great proposals.